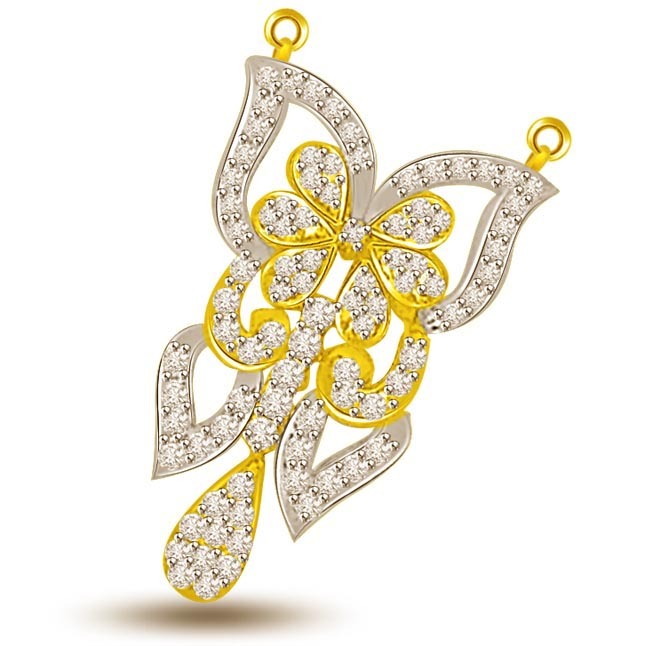 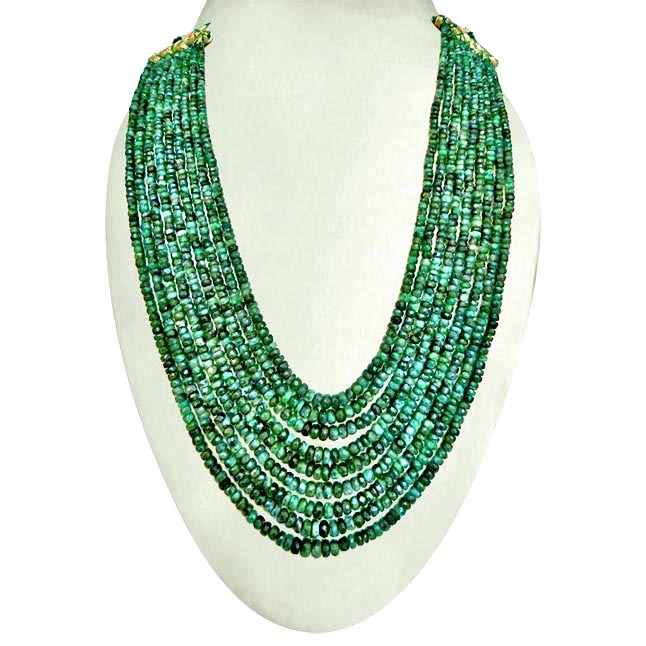 Posess your special jewellerycollection and make this adornment an intergral part of it. 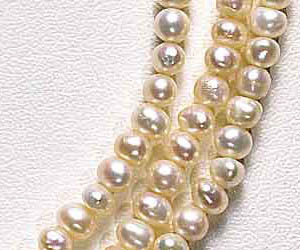 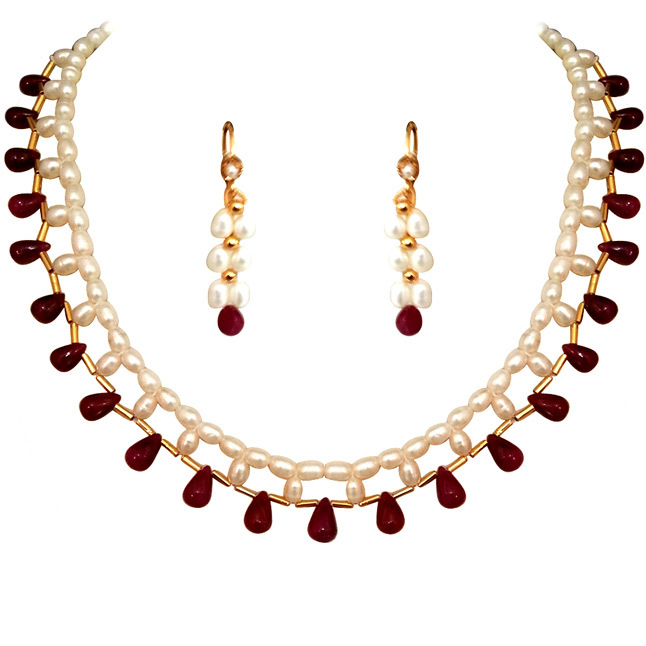 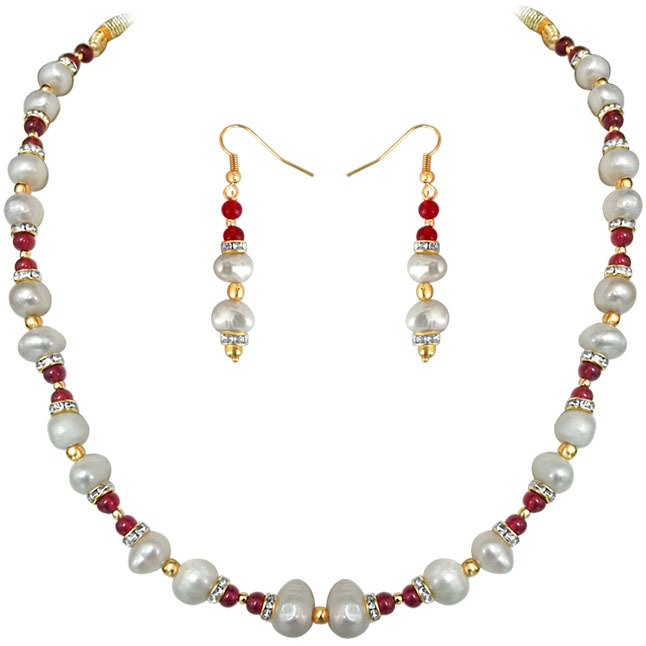 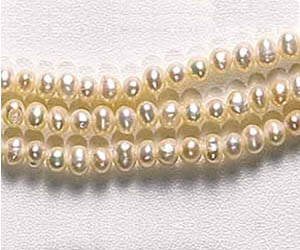 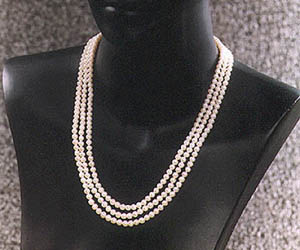 A three line pearlnecklace featuring three lines of lustrous round pearls. 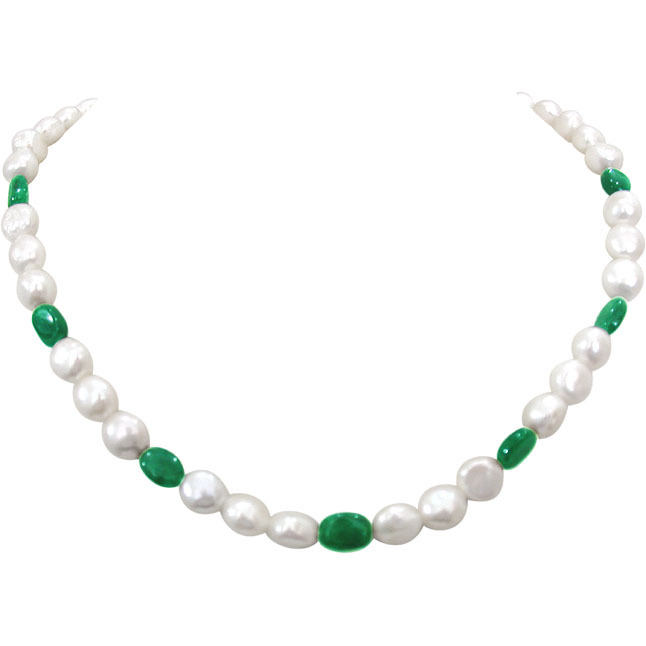 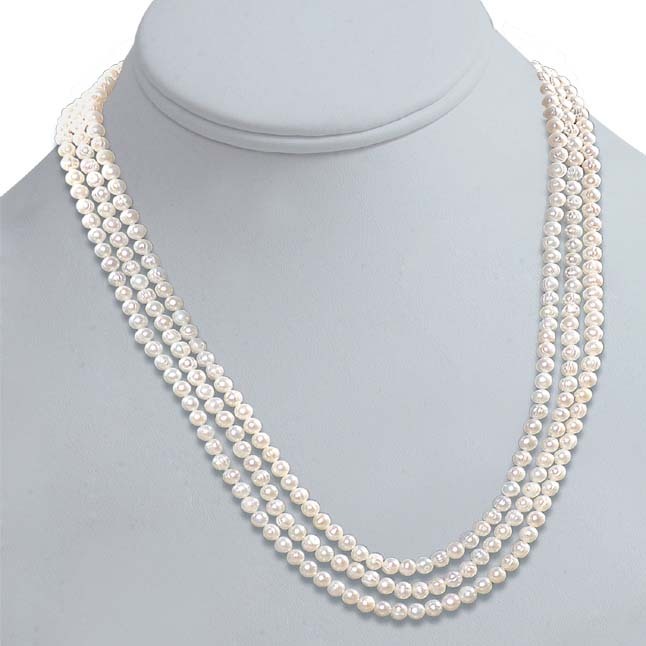 Pearl Size: 6/7 mm Necklace Length: 22"/23"/24"